Icepaw growled loudly and padded over to Moonstreak. Mistypaw gulped and headed quietly over to Firetail. Mosspaw tipped his head to one side, then padded over to Leafpetal. Silverpaw puffed out his chest and padded over to Pebblebracken. "Let's go check out the territory." answered Firetail as he touched noses with Mistypaw. "Ready to learn how to hunt?" answered Leafpetal as she touched noses with Mosspaw. "Go get to know your new denmates." answered Pebblebracken as she touched noses with Silverpaw. "Mistypaw, Icepaw, Silverpaw, Mosspaw!" cheered Duskcub for his former denmates. Barktooth padded out of her den, dragging the body of Blossomstar in her jaws. She placed the leader in the center of the camp, so the pride could grieve. Moonpaw padded over and pressed his nose into Blossomstar's fur. Graywing pressed her nose into Blossomstar's fur, feeling all nine lives fill her body, and tossed her head back in a roar. "Lions of SnowPride. Listen, And I will appoint the new deputy. I say these words before StarPride so our ancestors may hear and approve my choice...Heronwing will be the deputy of SnowPride!" "Thank you, Graystar." answered Heronwing with a dip of her head. "Graystar, Heronwing! 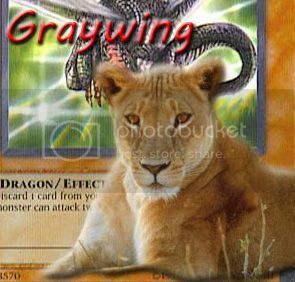 Graystar, Heronwing!" cheered Leafpetal for the pride's new leader and deputy. Barktooth padded into the SnowPride camp, carrying lungwort in her jaws. She made her way into her den, placing the lungwort into the storage. "We gather today to welcome five kits into their lives as apprentices." continued Graystar once the pride had gathered. "Oakcub, you will be known as Oakpaw. Waterpelt, you will be mentor to Oakpaw. Sparrowcub, you will be known as Sparrowpaw. Duskstorm, you will be mentor to Sparrowpaw. Cedarcub, you will be known as Cedarpaw. Freezewater, you will be mentor to Cedarpaw. Raggedcub, you will be known as Raggedpaw. Spottedleaf, you will be mentor to Raggedpaw. Whitecub, you will be known as Whitepaw. Since you have shown an interest in healing, Barktooth will be your mentor." Cedarpaw puffed out her chest and padded over to Freezewater. Oakpaw gave a happy wiggle, then padded over to Waterpelt. Raggedpaw puffed out her chest, raised her head high, and padded over to Spottedleaf. Sparrowpaw gave his chest a quick wash, then padded over to Duskstorm. Whitepaw gave a little wiggle of happiness and padded over to Barktooth. "Let's go get you settled in the den and go over some basic remedies." suggested Barktooth as she touched noses with Whitepaw. "Ready to go explore the territory?" asked Duskstorm as she touched noses with Sparrowpaw. "Let's go work on some hunting." suggested Freezewater as he touched noses with Cedarpaw.